You’re on your way to work and while listening to your MP3 player “Little Red Corvette” comes on. For the first time you not only listen to the lyrics, but understand them. “She had a pocket full of horses . . . some of them used” and you come to the realization that oh my God, you sang those lyrics in front of your mother. Still, what you will remember the most is not where you were when you first heard his music, but hearing the music period. Prince Rogers Nelson was no joke. From the first few licks of “I Wanna Be Your Lover” to soundtracks “Purple Rain” and “Graffiti Bridge” there hasn’t been a moment in your life when a Prince song wasn’t a part of it. Having put out an album nearly every year of his professional career, Prince has left a legacy of songs that not only hold up today, but transcend. He is one of the greatest artists of all time. Don’t underestimate songs from the “Graffiti Bridge” album. Although it was not as successful as “Purple Rain” there are still some gems that became the listener’s personal anthem. One such song is “Melody Cool” sung by Mavis Staple of the Staple Singers. Her rich, experienced voice brought strength and brute force to such lyrics as “When I was born there were tidal waves.” You just can’t beat the power that envelops you as you listen to those lyrics. Prince was also generous with his talent and wrote songs for several artists. One such song is “Manic Monday.” Easily it could have become a hit if the purple one had kept it for himself. That opening and the sing-song lyrics without a doubt would fit his voice. Still for The Bangles being their first hit put them on the map and established their style. It’s also timeless since every new generation that hears the song for the first time thinks it’s been just released. Not bad for a song that’s 30 years old. Quincy Jones might have introduced his vocals to the world, but Prince’s “Round and Round” made him a voice to be reckoned with. Remember Tevin Campbell? He was the young teen in “Graffiti Bridge” and you may not have understood the concept of the film, but you didn’t care because the music was so good. The upbeat tempo of this song makes you listen to the lyrics. There’s some solid advice about people and the machinations of others, who try to bring you down. Don’t think of “Raspberry Beret” as a throw away song. It tackles racism, a one-night stand and living for today all in a little over three minutes. There’s also a hint of social consciousness in there. The job, the girl who walks “in through the out door” talks about the dead-end life that you could possibly be living. Don’t settle just because she has a purple chapeau. “The Question of U.” Just listen to it. The sexual insistence of the guitar, the soul clapping and subtle drumming alongside Prince’s vocals will make you feel wonderfully uncomfortable. If you don’t love “1999” you have no soul. It has everything, great musicianship, amazing harmonies and lyrics you can sing along to. It’s a song about an oncoming apocalypse and you find yourself singing along with the track as if you’re in perfect sync with the lyrics. 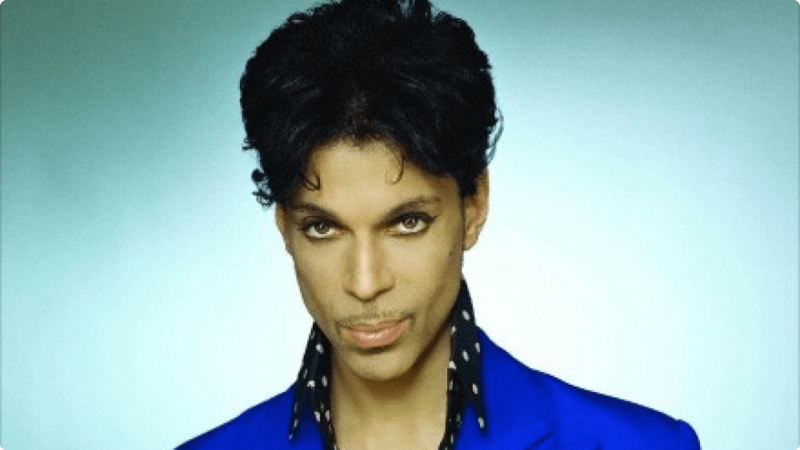 Rereleased after the success of “Little Red Corvette” it found its place among the Prince canon of music. And from 1982 has not let go of that long-standing position as one of his most famous songs. Besides who puts their favorite color as part of the song? Only Prince. Remember this is just a taste. Like this list Prince left us bereft and wanting more. Who knew that he would be lost to so many of his fans who’ve had an ongoing love affair with him since 1978 when you saw him on American Bandstand in that thin mustache and blowout? He will forever be missed.